Swimmers at Portadown pool who took part in a sponsored swimathon in aid of the John Paul Loughran appeal in 1988. Tandragee Golf Club captain Derek Poole congratulates young Stuart Paul on his achievement as winning captain of the Great Britain and Ireland team which won the Jaceque Leglise trophy in 1988. Tandragee Golf Club President Charles Maginnis is pictured on President's Day in 1988 with some of the competitors who took part in the event. 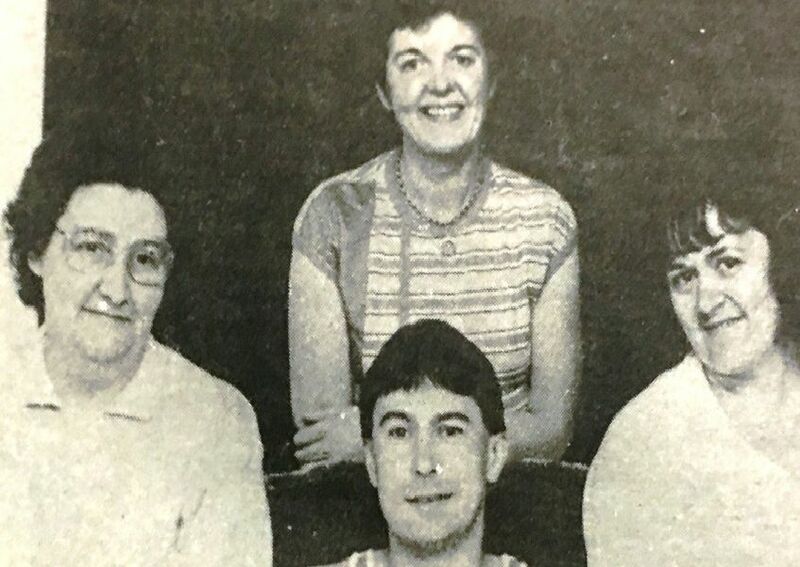 Coach Noel Best putting some of the members of Portadown Ladies' Hockey Club through their paces during a training session in 1988.